FINALLY my brow tutorial is here. I wanted to show you guys how I do my everyday brow but also how the pro’s do it. I enlisted the help of my friend Suzie, founder of FLYBROW, to help me clean up my brows and achieve my everyday look. Find the exact products I used below. These are my “can’t live withouts” but I also included an awesome brow pencil by NYX that’s a little less expensive. I have more info for you coming soon like how to achieve a nighttime bold brow, my sister’s amazing brow transformation and more fun products out there for you to try so stay tuned. Comment below for any questions! I loved these tips! Thanks! (Also – I think the links to “FLYBROW” have typos in them – It looks like auto correct changed them to “FLYBLOW” ! Just thought I’d give you a head’s up! No prob 😉 I’ve got your back girl! The color taupe by Anastasia!! Megan, you can also consider tinting your brows an ashy blonde color to pick up some of those hairs so they don’t look non-existent! It will also help when filling them in to follow the shape! Would you mind sharing the products you use? an all product video is coming soon! So you don’t wax at all? Just tweezing?! That’s amazing! Have you ever waxed? What colors do you suggest for Redheads? If someone’s brows are a different shape (i.e. Not the same thickness throughout) would you recommend plucking to make them the same shape or just implementing these tips while working with the natural shape? Love this video and love your brows! Can you tell us how you curl/fix your hair please? Lauren, I started using your recommended brow products as soon as you posted them. I absolutely love the transformation…brows and mascara are my go to now! Thank you for the video as well. You are so beautiful, and I love your natural look. I have really dark eyebrows. Should I still get the gel wax? I use the Anastasia brow wiz as well. I was looking for a good brow gel so thanks for sharing! Also, will you be sharing a hair tutorial someday for how you do your tousled waves and the products used to achieve it? Love this! Any chance to get the video a little closer up in future tutorials to see a bit more detail on technique? To make them look like “twins not sisters”? Isn’t it sisters not twins? Hi Lauren, My eyebrows don’t have the same shape (arc is not at the same place), whether that be from over tweezing as a teen or something else. How do I get them to be like twins, as she said? Should I just use makeup or would going to see a specialist work better? My brows are naturally closer to my eyes than most tutorials I’ve seen; therefore, any attempt to fill them in makes me look angry. I’ve tried brushing them upwards and fill them in closer to my forehead (like your tutorial), but my eyebrows are already pretty thick and dark. It ends up looking like Mia in Princess Diaries. Does this mean I should just embrace my natural eyebrows? 😂 Any tips? You list that you would use soft brown for the brow wiz, but in the video she is saying that she is using taupe. Which one is it? My hair is just like yours, so I want to get the same. How often do you go through these products? I’m just curious how long they last for the expense. Thank you so much!! Hi Lauren! I love this tutorial and I love the way you fill in your brows! 😊 I noticed before she filled them in that your eyebrows already had an amazing shape to them! Do you have any suggestions on what I can do to create that natural shape?? Loved this tips!! Do you use these products for everyday? I have been using the NYX brow pencil but I’m not seeming to like it all that much. Do you recommend Anstasia Becerilly Hills one more? Or any other products? Love this so much! Do you ever use the brow definer by Anastasia or just the pencil wiz? Thanks! Hi Lauren! Love this post and your eyebrows look great. One quick question- I noticed she said eyebrows should be twins not sisters. I’ve always heard it the other way around (and anyway twins are sisters, haha), with the idea that you don’t need to nitpick them to make them identical. They might be a bit different which is natural. Thoughts? Loved this tutorial, Lauren! I have the same coloring as you and so excited to see you use the same products I use 🙂 I’m definitely going to try out your technique to get that “browtox” lift ;P love it! I also have a question for you — I’m a fellow blogger and I love how your signature looks. Did you write that yourself and then upload it? Would love to hear the process on that! Love this tutorial so much! Thanks so much for posting! what brand highlighter did you use for under your brows? Hi! I think our eyebrow color is pretty similar. Do you use Taupe and Soft brown? Sounds like she said she is going to start with the Taupe so I wanted to make sure! Really enjoyed this blog post, how can I make is so that I get an update sent in an email whenever you write a new update? Hey! Great tutorial! Could you tell us the name of that highlighter though and where to get it? Hi Lauren! Can you please do a makeup tutorial? Or share some more makeup products with us? Yay! A focus on brows , love the video !! Very helpful . Ahh. I loved loved loved this videos Lauren! It would be awesome to see more 🙂 Maybe make a youtube channel? What was the name of the high light you used? Oops I guess I should have read a little further down. Hi Lauren! Can you please do a makeup tutorial? I have always loved your look and I would love it even more to see how to do it!! Please & thank you!!! I find I have a hard time trying to find the right shape for my eyebrows, being that they’re so thin. What do you suggest is a good way to go about adding some arch to them? You should follow the natural shape of your eyebrow and work from there always in soft feathered strokes. My mother barely has any hair on her brows and it really helps to take your time and start out lighter before completely coloring your eyebrow in. What about a hair tutorial ? Yes I agree hair tutorial please! I love your hair it’s stunning and I want to do mine the same!!!! Help! Ok so I have heard a few different things when it comes to us brunettes picking the right products/colors for our brows and I’d love to hear you and Suzie’s option. One is that fair skin toned brunettes with dark brows should try and go 1-2 shades lighter as opposed to more medium skin toned brunettes who should go 1-2 darker. On the other hand I have been told that if you have thick brows you should use products that match the color of your brows exactly and if you have thinner more sparse brows you should use products that are slightly lighter than your brow color..Thoughts? So if I don’t have a lot of eyebrows I go lighter? When are you going to put a contouring video up? Or at least the products you use! Love your flawless looking skin. Hi Lauren! Will you do a hair tutorial for how you get those perfect waves?? What do you wear on your lips? Always love the color- most recently on the tv show! Thanks in advance!!!! Would love to know the blush you use, you have amazing cheek bones and the blush colors you use add a such a beautiful color and glow. Lauren!! I’ve been a huge fan since day one!! I’m so glad I found your blog. Can you please do a post on your daily makeup routine? Your skin is flawless and I especially would love to know what you use to highlight an contour! Thanks doll!! I am also in favored an every day look and products video. Love the blog!! I need to start putting more effort into my brows, yours are amazing! I think Benefit is going to be my next Sephora purcahse! Could you show or tell me what you use for everyday makeup ? Enjoying your blog and show! Would love to hear about your fitness/workout program! how often do you get your brows shaped? 🙂 thanks Lauryn!! Love the video!! I am just soooo obsessed with you and ben!!!!! Love u bothhh!!!!!! Love this! Thank you Susie & Lauren for sharing these tips. I love your blog and all your beauty tips. I just love your hair and your style on your show! Would you do a hair tutorial to show us how you get your loose, natural looking waves! Also do you use extensions? I was watching your latest episode on Freeform and I saw your blog and thought I spied my junior high friend Suzie from Flybrow….and I was right! Crazy small world! Suzie, I’m so happy your business is going well, I still follow the skincare tips from your mom from 7th and 8th grade. Of course I don’t try to hair spray my bangs within an inch of their lives anymore. Lauren, best of luck with your blog, it’s great and with talented people like Suzie around you, you can’t go wrong! Your brows are on point!!! Have you tried LipSense before for your lips?! We would LOVE the opportunity to collaborate with you (and you can make money selling this amazing product too and all you have to do is post about it!) Email us if you are interested in trying it out/more info! Thank you!! I really feel like eyebrows make a difference to someone’s face! Love this how to video 💕 I’m definitely trying these tips on my brows tomorrow! Love the video! Would love to see a tutorial on your lash routine? Do you wear false lashes? 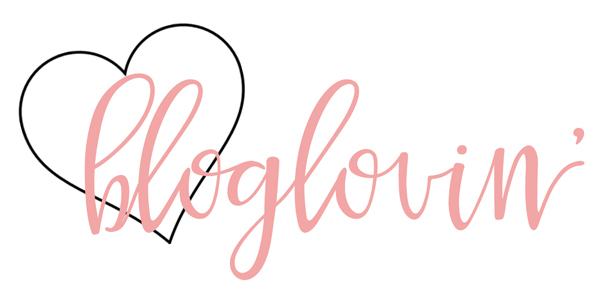 Love tutorial & blog is the perfect cuteness. Just can’t help to wonder…do you have eyelash extensions or fake lashes? You def have sparkle in your eyes! If I have dark brown hair, what’s the best NYX color to get for my brows? Is it possible to zoom in when applying the brow liner? Want to see exactly where the line begins and how it’s softly applied. Eyebrows turned out great just felt like I couldn’t really see what was going on. Lauren Please show us how to do your famous hair buns!!! Loved your brow tutorial! I’m a blonde so it helped a lot with my light eyebrows! I would love to see how you do your makeup! You have rosy cheeks and light skin, and I’m the same way. What do you use to get a good coverage?? I am no good when it comes to brows. Thank you for sharing these tips babe! Wonderful video! First off, I love the brow tutorial… making brows pop is something I think is so important when it comes to completing your look!! I have a question: do you play around with false eyelashes? If so, what brand/type do you like? I am asking because your lashes look so great! And I am getting married in March and am thinking about doing my own make-up and using some falsies (which I have never put on myself before!!). Any suggestions? Much love to you and Ben. Hey Lauren! Love your eyebrows they are so pretty, great tips. I just saw that you were starting a blog and the Ben and Lauren Happily Ever After Show! You’re going to be great! I know you have struggled with Social Media during the show. I struggle with Over-Posting on Facebook. I am always deactivating my account. Do you have any tips about how to deal with Social Media? More Videos and Tutorial’s on Make-Up and Hair! Love the eyebrow demo! I have very blonde eyebrows too and I always have a hard time filling them in correctly! Thank you for the tips! Hey Lauren, what foundation do you use? I love the benefit gel- my fav! What eyeshadow do you use? I remember you posting it somewhere but can’t seem to find it. Thank you! Hey! So…your friend mentions that she is using the Taupe shade but then you listed the Soft Brown. Just quirious because I’m pretty ashy too. That is truly incredible!! I’ve always struggled with my brows because my one brow has a small scar and I’ve always had so many difficulties working with them.. I have fair skin like Lauren and my eyebrows are light also, great tips! No promises they’ll ever look like that though, no matter how many times I try!! Any advice Lauren on how to work around an eyebrow with tiny scar? Its not noticeable, just the hair obviously doesn’t grow in that part. I have barely any shape, my Mom always tells me to brush them upwards to help with that. Brush upwards and set with a clear gel. Fill in any sparse or bare areas with a pencil! The video isn’t working. Not sure if it’s me or the video? Love the brow tips. Keep the beauty posts coming. Skincare and makeup routines, pretty please! You always look flawless!! Please, please, please do a video of your foundation routine!!! Your skin always looks flawless!!! In the video she mentions she’s using the taupe color pencil, but I know you’ve said you use soft brown. Which do you tend to use for your everyday look? Thanks! I’m a natural red head and I never know what color to do my brows! I’m not an orangey red. I’m more of a deep darker red. Any help you can give me? Would you mind sharing all of your make up tips? 1. Everyone always says make your eyebrows sisters not twins. Is that what Susie meant to say but just accidentally flipped the wording or are you actually supposed to make your eyebrows identical? 2. I love your eye makeup I’ve been looking for a Lauren busnell makeup tutorial but it keeps coming up with random people from the bachelor. Do you think you’ll ever do a full glam look or everyday makeup tutorial? Can you post a tutorial on your entire makeup routine please?! Would love to see that! Looks like the comments above hope so too!!!! Very nice brow video tutorial. Neat and professionally done. Heads up. Agreed. Very well done. Nice site too Lauren!